Section 1. NAME OF CORPORATION. The name of this corporation shall be VIZSLA CLUB OF ILLINOIS, Inc. Chartered by the State of Illinois, under an act for corporations not for pecuniary profits. g. to do all things authorized by law connected with or incidental to the objects and purposes for which this corporation is organized. There shall be two classes of membership (Honorary and Active) open to all persons eighteen years of age and older, unrestricted as to residence, who subscribed to the purposes of this club. Membership dues shall be established on a yearly basis as approved by a three-fourths majority vote of those members present at the annual January meeting of the Club. Membership dues are to be paid by July 1 each year. Such dues, when paid, shall entitle membership for a period of twelve (12) consecutive months from date paid. No member shall be entitled to vote unless dues are paid up. The Treasurer shall send to each member a statement of dues 30 days before the due date. Failure to pay dues within 90 days of due date shall result in being dropped from membership rolls; reinstatement only upon payment of dues. a. by resignation. Any member may resign from the Club upon written notice to the secretary. There will be no refund of any dues paid. b. by lapsing. A membership will be considered as lapsed and automatically terminated if such members dues remain unpaid 90 days after the due date. In no case may a person be entitled to vote at any club meeting if his dues are unpaid as of the date of that meeting. (Amended November 18, 1970). c. by expulsion. A membership may be terminated by expulsion as provided in Article VII of these Articles of Incorporation. Meetings of the club shall be held on a bi-monthly basis. The date and time of the bi- monthly meeting shall be established by the Board of Directors and published in the Bulletin not less than 30 days prior to the meeting. Special or call meetings may be held upon the call of the President and any three directors, or by any group of members totaling eight or more, provided that at least seven (7)days written notice shall have been given to all members of the Club. (Amended November 18, 1970). Meetings of the Board of Directors shall be held at the discretion of the Board of Directors. The Secretary has primary responsibility to notify Board members of the meeting time and place. A quorum for the Board of Directors meeting shall be 2/3 of the Board of Directors. (Amended November 18, 1970). Each member in good standing whose dues are paid for the current year shall be entitled to vote at any meeting of the Club at which he is present. Family membership shall be restricted to two votes. (Amended November 18, 1970). Section 3. The right to increase or decrease the number composing the Board within the limits fixed by the Articles of Incorporation is reserved to the members. Section 4. In case of a vacancy on the Board of Directors for any cause, the remaining members thereof, shall have the right to fill such vacancy for the un-expired term. (Amended November 18, 1970). Section 5. The corporation shall have no seal, but the Board of Directors may, by resolution, adopt a seal. If a seal is adopted there shall be impressed over this Section an imprint of the seal adopted. A seal, if adopted, shall be in the form prescribed by law. Section 6. 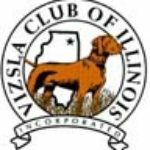 The official publication of the Vizsla Club of Illinois, Inc. is the Bulletin and shall be published on a regular basis. Official Club business may be conducted through this publication. (Amended November 18, 1970). The Club’s fiscal year shall begin on the first day of January and end on the 31st day of December. Ballots will be provided to individual members, if so requested, in December. These must be returned by the date specified on the ballots. Ballots must be signed to be valid. The President shall appoint tellers to count the ballots. The nominated candidate receiving the greatest number of votes for each office shall be declared elected. The nominated candidates for vacant positions on the Board who receive the great number of votes for such position shall be declared elected. Section 2. Any committee appointment may be terminated by a majority vote of the full membership of the Board upon written notice to the appointee; and the Board may appoint successors to those persons whose service has been terminated. Any member who is suspended from the privileges of the American Kennel Club automatically shall be suspended from the privileges of this Club for a like period. Any member may prefer charges against a member for alleged misconduct prejudicial to the best interests of the Club or the breed. Written charges with specifications must be filed in duplicate with the Secretary, together with a deposit of $10, which shall be forfeited if such charges are not sustained. The Secretary shall promptly notify the Board, which shall meet and fix a date of a Board hearing not less than three weeks nor more than six weeks thereafter. The Secretary shall promptly send one copy of the charges to the accused member by registered mail together with a notice of the hearing and an assurance that the defendant may personally appear in his own defense and bring witnesses if he wishes. The Board shall have complete authority to decide whether the counsel may attend the hearing, but both complainant and defendant shall be treated uniformly in that regard. Should the charges be sustained, after hearing all the evidence and testimony presented by complainant and defendant, the Board may, by a majority vote of those present, suspend the defendant from all privileges of the Club for not more than six months from the date of the hearing. And, if it deems that punishment is insufficient, it may also recommend to the membership that the penalty be expulsion. In such case, the suspension shall not restrict the defendant’s right to appear before his fellow-members at the ensuing Club meeting which considers the Board’s recommendation. Immediately after the Board has reached a decision, its findings shall be put in written form and filed with the Secretary who, in turn, shall notify each of the parties of the Board’s decision and penalty, if any. Expulsion of a member from the Club may be accomplished only at a meeting of the Club following a Board hearing and upon the Board’s recommendation as provided in Section 3 of this Article. Such proceedings may occur at a regular or special meeting of the Club to be held within 60 days but not earlier than 30 days after the date of the Board’s recommendation of expulsion. The defendant shall have the privilege of appearing in his own behalf, though no evidence shall be taken at this meeting. The President shall read the charges and the Board’s findings and recommendations, and shall invite the defendant, if present, to speak in his own behalf if he wishes. The meeting shall then vote by secret ballot on the proposed expulsion. A 2/3 vote of those present at the meeting shall be necessary for expulsion. If expulsion is not so voted, the Board’s suspension shall stand. Section 1. Amendments to the Constitution and Bylaws may be proposed by the Board of Directors or by written petition addressed to the Secretary signed by twenty percent of the membership in good standing. Amendments proposed by such petition shall be promptly considered by the Board of Directors and must be submitted to the members with recommendations of the Board by the Secretary for a vote within three months of the date when the petition was received by the Secretary. Section 2. The Constitution and Bylaws may be amended by a three-quarter vote of the members present at any regular or special meeting called for the purpose, provided the proposed amendments have been included in the notice of the meeting and mailed to each member at least two weeks prior to the date of the meeting. Section 1. The Club may be dissolved at any time by the written consent of not less than three-quarters of the members. In the event of the dissolution of the Club, whether voluntary or involuntary, or by operation of the law, none of the property of the Club nor any proceeds thereof nor any assets of the Club, shall be distributed to any members of the Club but after payment of the debts of the Club, its property and assets shall be given to a non-profit organization for the benefit of dogs selected by the Board of Directors. Vizsla Club of Illinois 2019 | All Rights Reserved.